 Application for acceptance to Gordon College, available on the Admissions page. A separate art portfolio and short writing sample serve as your application to the art department. The portfolio and writing sample must be emailed to jdavid.west@gordon.edu. Do not send anything through the mail. Note that the portfolio has three components: previous original artwork, four images which we request you to create specifically for the application (the "home exam"), and a short informal essay. Students interested in minoring in art only have to submit the home exam. Email these four images to jdavid.west@gordon.edu. 10–15 images of your original artwork. Please make all efforts to adequately light and photograph your images to best represent your work. Images may be attached as individual .jpgs, or collated into a .pdf or slide presentation using Keynote or Powerpoint. If you send .jpg files, please name the files as follows: last name, underscore, first name, underscore, # (e.g. West_David_01.jpg, West_David_02.jpg, etc). The enumeration should correspond to a separately attached inventory list providing the title of the work, size, and medium. If you wish to send your images in a collated PDF or slideshow format, be sure to provide all pertinent information as captions with the submitted images. If you have any questions or issues with this process, please contact Professor David West at jdavid.west@gordon.edu. Drawings in pencil, charcoal, conté crayon, and other drawing media, executed by direct observation (not from photographs). Subject matter may include figure, still life, landscape, and architecture. Works employing color media: painting, pastel, colored pencil, or collage. Other works showing the breadth of your visual arts experience: printmaking, photography, computer-based imagery, mixed media, and/or three-dimensional works (sculpture, ceramics, installation). A self-portrait in pencil or colored pencil, made using a mirror. A direct observational drawing of some technical object (e.g. bicycle, complex machinery, piles or stacks of assorted objects, etc). A drawing or painting in color either representational or non-representational. A drawing, painting, collage, or design of your own choosing, in any media. If sending .jpgs please provide an inventory list (Word document or PDF) with the title and medium of each piece that corresponds with the naming of the images as outlined above. If sending a collated PDF or Powerpoint, your caption/image list can be within the PDF or Powerpoint. Tell us about your history as an artist. Feel free to speak about teachers, classes, or specific creations from your past. Describe a relationship you have with an important, interesting, or powerful work of art that you have experienced in person. Your experience with art and faith—what sort of relationship does your faith tradition have with the visual arts, or how do you see your work as an artist informed by, and/or informing, your faith? Though not required, if you would like to meet with the Art Faculty, you may request an interview before or after the initial submission of materials (portfolio and essay). You may bring original examples of your artwork to this interview, although you will still need to submit a formal portfolio (see above). To request an interview, call the Admissions Office at 978.867.4218. Interviews may be scheduled for weekdays. Late submissions will be considered, but preference is given to those received on time. If you have any other questions, please contact the Art Department.